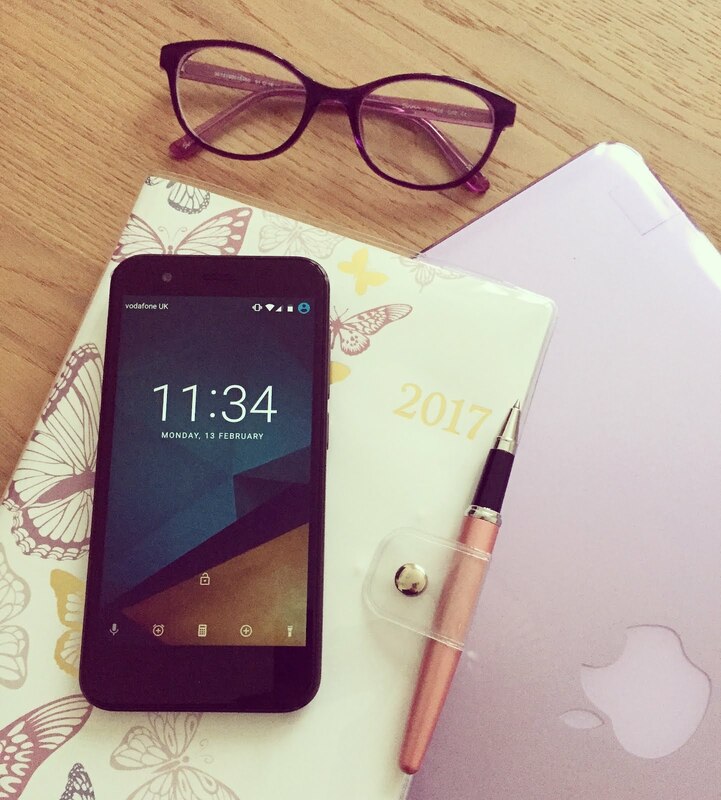 Vodafone Smart Prime 7 // This blog is primarily a fashion and lifestyle blog, and those that follow me will know that that's my area of interest and what I love to blog about. But it doesn't mean it's my only interest and I love sharing and talking about other things that tickle my fancy on this little space of the internets - I guess that's why I chose such a random blog name so that I could talk about anything and everything - what does Electric Sunrise even mean? Anyways, let's not get distracted... you'll know from my previous post [here], I was recently sent the new smartphone from Vodafone, the Smart Prime 7. I have never had the opportunity to review a piece of technology on the old blog before, but it's an area that I have huge interest in - I actually have a masters degree in digital marketing and really interested in the development of mobile technology - so even though I'm a 'fashion blogger', I was really excited by this opportunity. Today We're Feeling Like Gold // Gooood morning my loves! 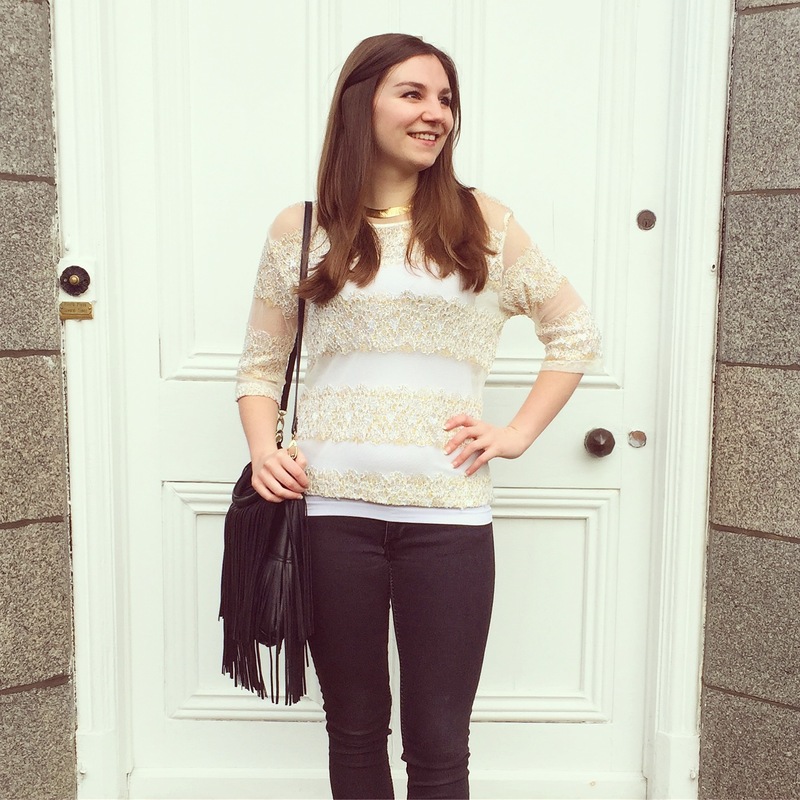 I'm sharing yet another strange outfit today... that's right, I'm wearing jeans! 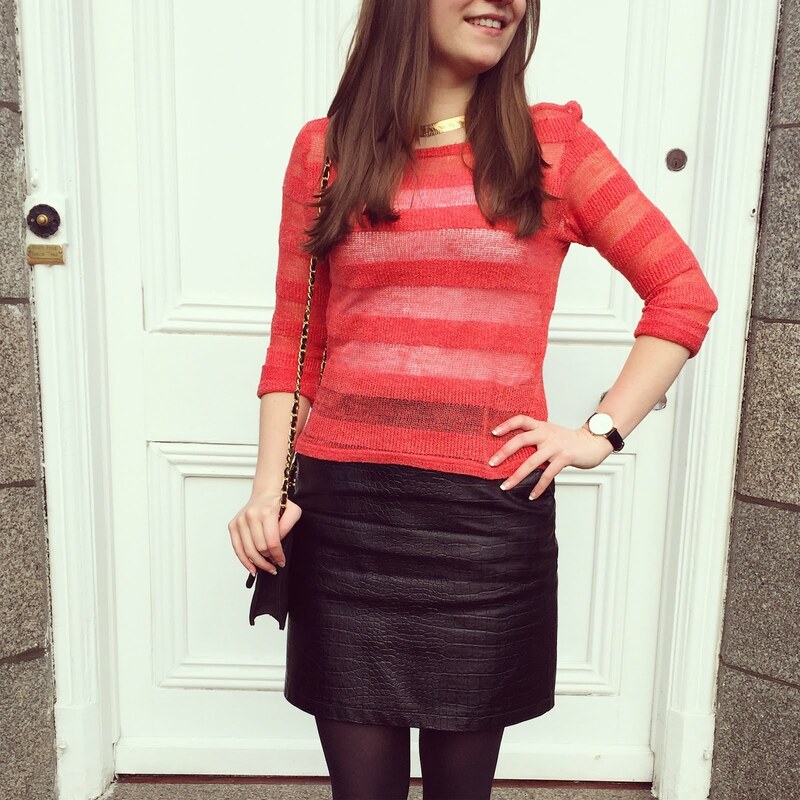 I spoke in my last jeans post [you can read it here] about how much of a dress/ skirt kind of girl I am, and it's still true - I would choose to wear a dress over a pair of jeans any day. But I must admit, some items of clothing look better worn with jeans, and this jumper is one of them. 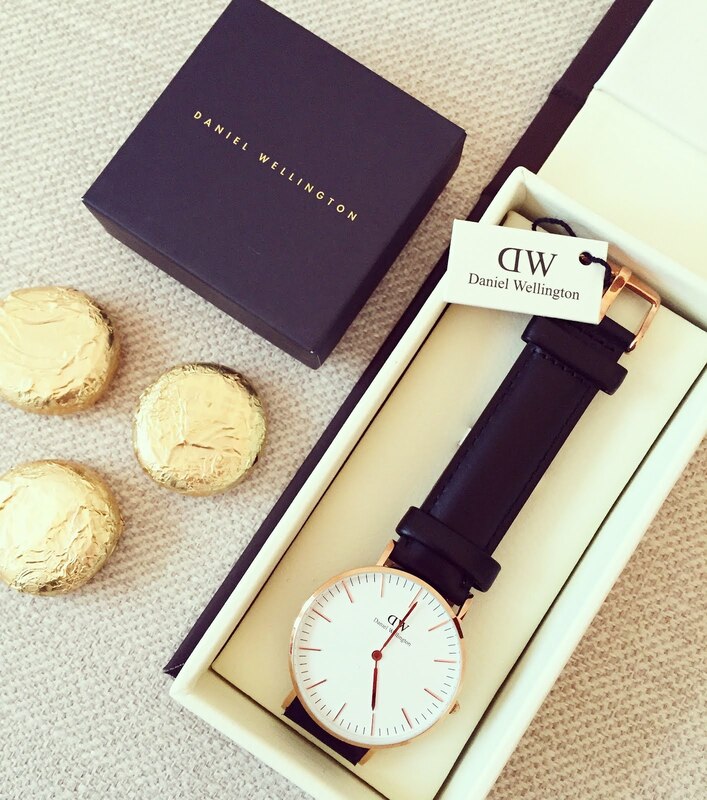 Daniel Wellington // Good morning and happy Friday! :-) It's been quite a stressful week for me - it's been one of those weeks where it just seems like I have a million things to do and I've spent my days crossing jobs off my (seemingly never ending) 'To Do' list. I'm glad that Friday is here and I can relax over the weekend, although it's never seems long enough... Yesterday was great though - the lovely team over at Daniel Wellington very kindly sent me a new watch, along with a limited edition 'love heart' charm... I can't tell you how big my smile was when opening this parcel, I was instantly in LOVE. New Shoes // Hey, I put some new shoes on and suddenly everything's right! To quote Paolo, I got some new shoes in the post last week and they are luverlyyyy. 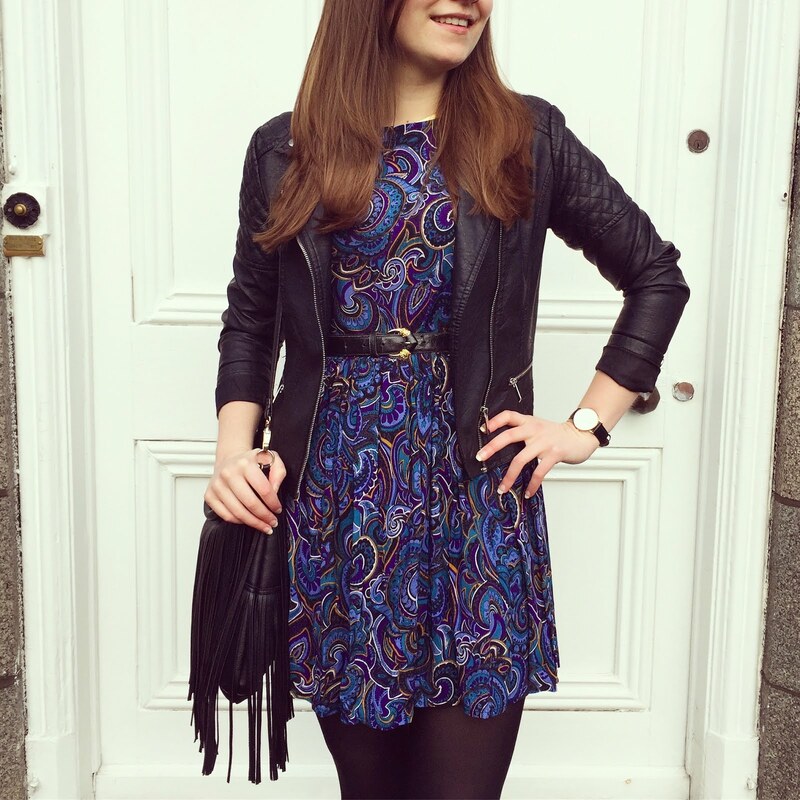 I was recently contacted by online boutique, Zaful, who very kindly offered me the chance to review one of their products. 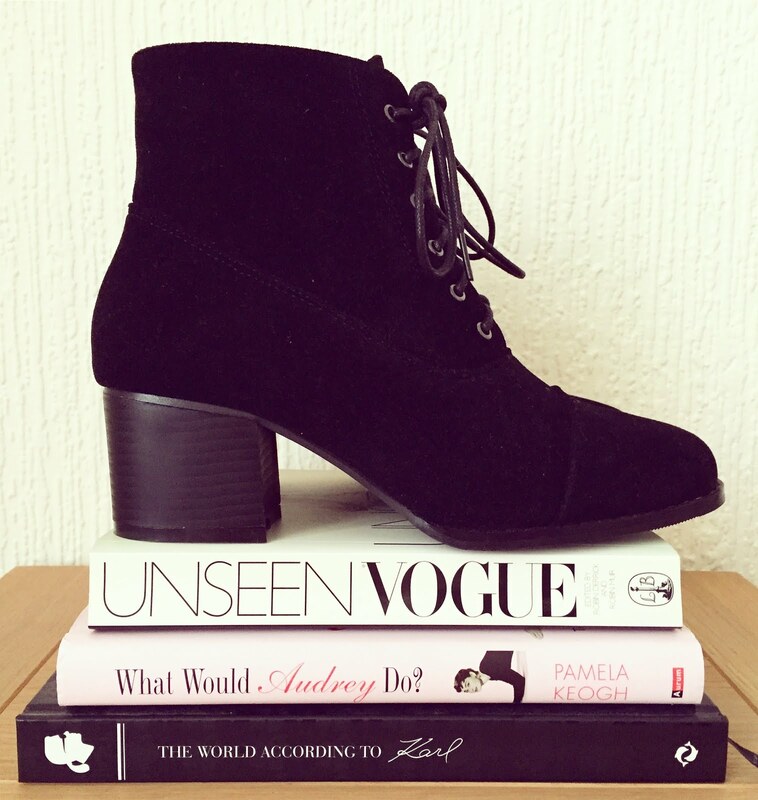 I decided to treat myself to a pair of black ankle boots - a pair of black boots are pretty much a wardrobe staple for every girl I know, and you can never have too many pairs, am I right ladies?! Instagram // Hello loves, hope you've had a great week. Valentines Day came and went in a blink - Owen and I enjoyed a Chinese takeaway and laughed at some classic episodes of Peep Show, but I can't help feeling like the year is already flying by. It feels like Christmas was only a few weeks ago and when I stop to think about it, I get freaked out when I realise just how fast life is whizzing past. But, it's also exciting - in a couple of weeks time I'll be enjoying a long weekend break in Copenhagen, a trip that was booked back in December and I had tucked away at the back of my mind. It's a great feeling knowing that I'll be back in the country that I love so much, and will no doubt be sharing a picture or two on the blog soon! Smart Prime 7 // Hello loves, hope you’re having a great week so far. Oh, and Happy Valentines! I’ve got some exciting news – I was recently contacted by Vodafone, who have kindly offered me the chance to review one of their state-of-the-art smartphones, the Vodafone Smart Prime 7. Now, I’m very much an Apple ‘kind of girl’. My first phone as a young teenager was the classic Sony Ericsson W810 (who didn’t have one of their phones?! ), but as soon as I could afford an iPhone 3GS, I was obsessed. I’m now using an iPhone 6, but if I’m being honest, I’ve never used any other kind of smartphone or brand. I know that there are so many other options out there, and therefore jumped at the chance to review a different model. The Smart Prime 7 phone has only been lent to me for the purpose of this review, but I’m still very excited to try it out over the next few weeks and share my thoughts with you all. What are my first impressions though? Well, I am already warming to this super sleek smart phone – the design is perfectly simple and stylish. The handset, so far, is incredibly easy to use and I’m impressed with the wide range of innovative features – it has everything you would ever need and want from a modern phone. And the best part, and possibly the most surprising? 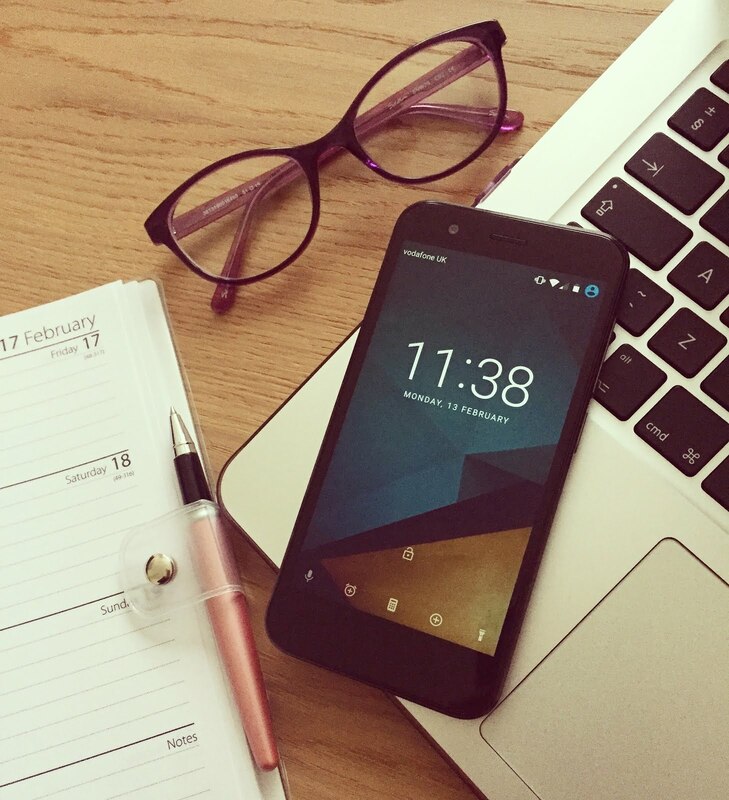 It’s incredibly affordable – the phone will cost just £16 per month or £70 pay as you go. Valentines Love Hearts // Hello loves, wishing you all a lovely Valentines Day for when it arrives on Tuesday. Now, you may remember that I mentioned a while back that I'd fallen in love with a certain dress (it was this one here!) And you may have also remembered that I told you I had picked it up in two colours... Well, here we are! 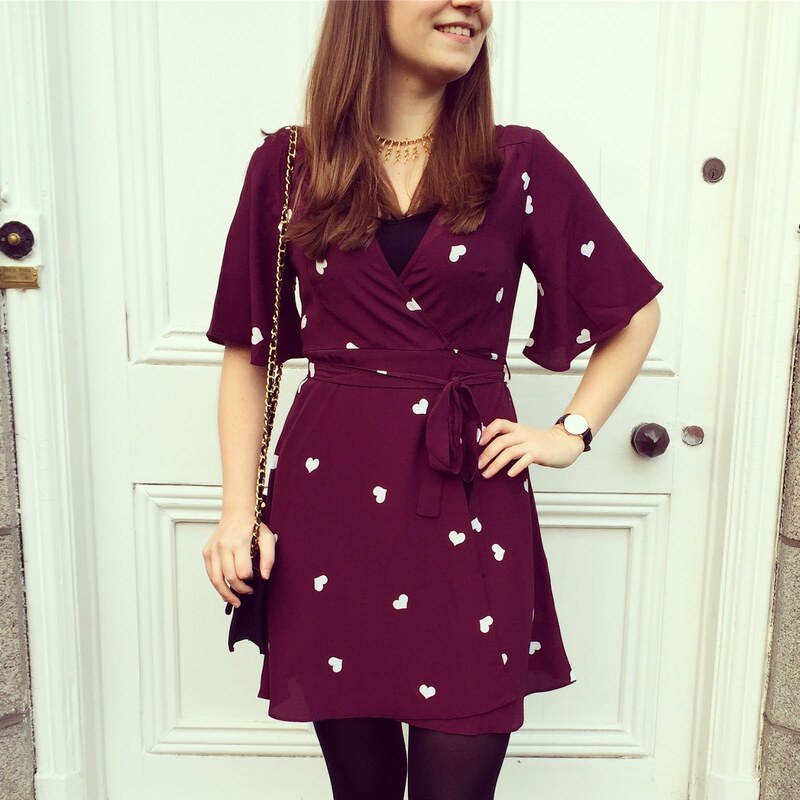 I decided to keep this cherry coloured beauty for Valentines time, and show off this heart print dress when we are about to celebrate the day of love! I'm going to be honest though - I actually decided to return this dress. The purple colour was not as discreet as the black and every crease and fold was very noticeable. When I sat down, the back of the dress became extremely crumpled and I just wasn't happy with how it looked - the black was much more forgiving. Instagram // Hello loves, here I am again sharing another dose of weekly pictures. As you can probably tell, I'm obsessed with anything purple and shiny. I recently discovered that I'm short-sighted in my right eye, and my other eye has some sort of stigmatism - I'm not 100% sure what it all really means, but I do know that I now need to wear glasses in order to see things in the distance... Naturally, I chose a purple pair and have enjoyed wearing them over the last few weeks. Also, how awesome are those glitter donuts? I really want to try and attempt to make these with some edible glitter, do you think it would work? Valentines Day // Valentine’s Day is approaching quickly, and is often referred to as one of the most popular day for marriage proposals. You don’t want to be cliché with just flowers and the ring in the champagne glass at a candle light dinner, do you? 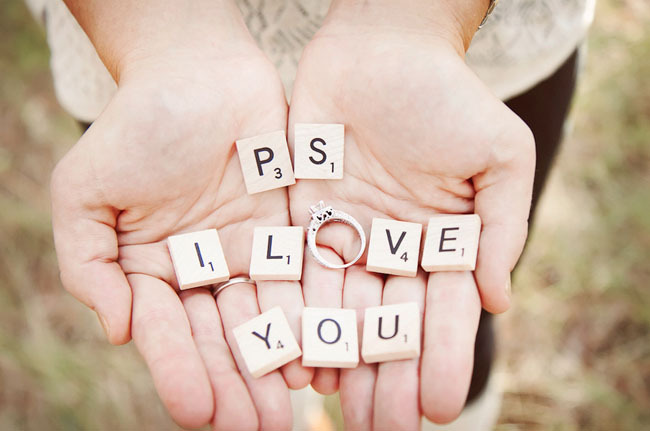 These clever proposal ideas and ring suggestions will help you seal the deal.